And winter break is over and we’re back! Yaaaaay! 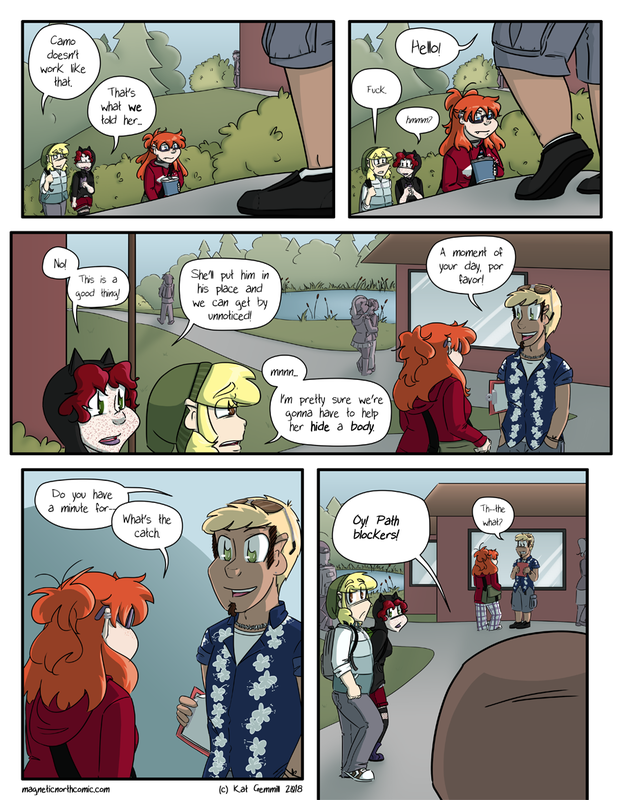 Two new characters (kiiiiind of) on this page, and I love and hate them both. Also! Some patreon stuff! 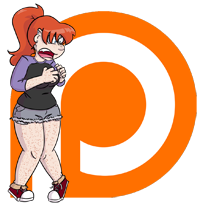 First, if you’re supporting me on patreon, I <3 y’all so much. I’m running a popularity poll on patreon! It’s absolutly free and you don’t have to give me money or follow me to vote! I’m curious who y’all love from a vanity point, but also I want to draw that/those characters more for pin ups and the end of month junkfoods for y’all. If you’re not following me on patreon, here’s some reasons to consider, or to tell others about it! Patrons are 1-2 pages ahead of everyone else at all times. Sometimes more, buffer willing. Patrons have access to a buuuuunch of art and comics from ye olden times when I drew the first version of MagNorth and didn’t know how to make characters look not-interchangable! Just supporting at even the $1 level helps me with promotional stuff and art supplies, and even more than that it makes me all fuzzy and loved inside and makes me want to make more content for y’all. Also, I’m doing daily doodles and patrons are gonna start get a monthly sketchbook of the stuff I’m drawing that’s not spoilers so there’s a LOT of art you’re missing out on if you’re not a supporter! And if you don’t can’t afford to support MagNorth on patreon, or just don’t like patreon, the absolute best way to support this comic? Is to tell your friends! Twitter, facebook, the dying husk of tumblr; word of mouth is the best possible way to tell me that you love the comic, and to get others to love it too! Regardless, thank all of you who show up every week or every other week to read this comic about my dumb children. It means the world.